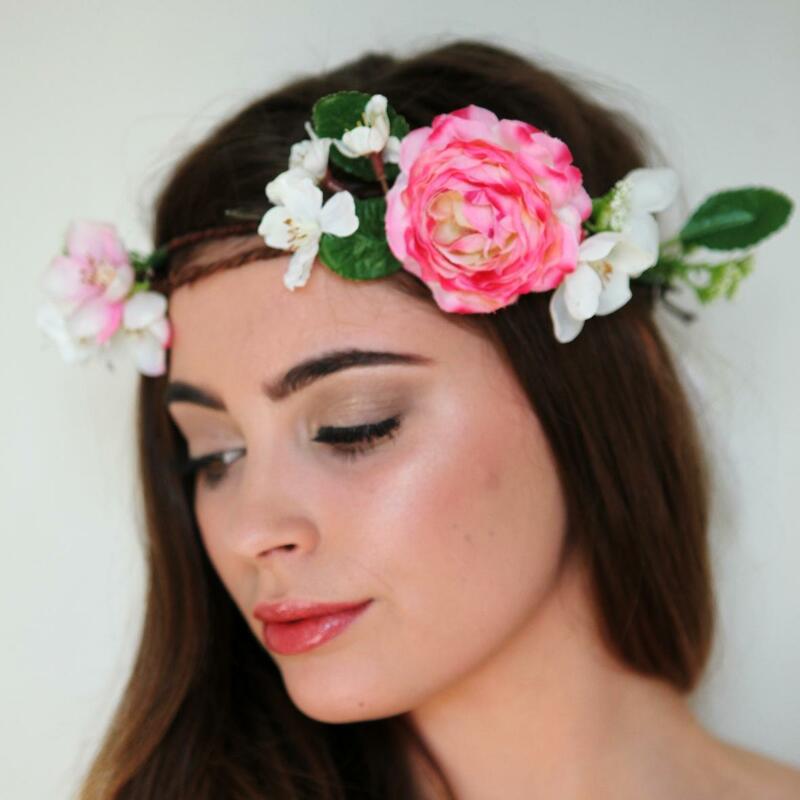 Lovely rustic and romantic flower crown with a pink rose detail. 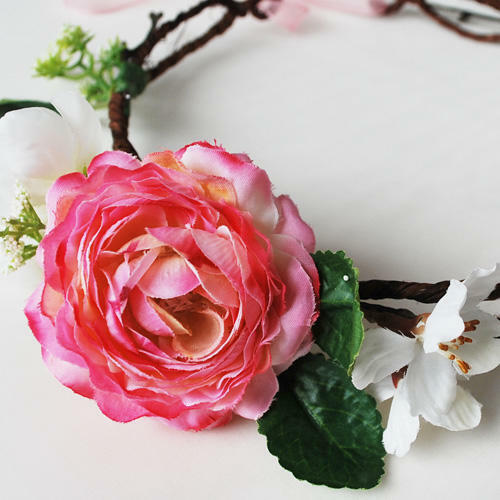 Can be worn pinned into the hair or tied with the attached soft pink organza ribbon. We can make these beautiful crowns to order with a little added crystal or coloured accents to match your wedding scheme. Smaller crowns for bridesmaids make the perfect accessory for the little ones.